Former Fox News host Eric Bolling has announced via Twitter results from the Colorado Coroner who examined his son who tragically died last month. Bolling’s son, Eric Chase, passed away on the day that Fox News announced that Bolling would no longer be an employee after an internal investigation into sexual harassment allegations was completed. Chase was only 19 years old when he died. 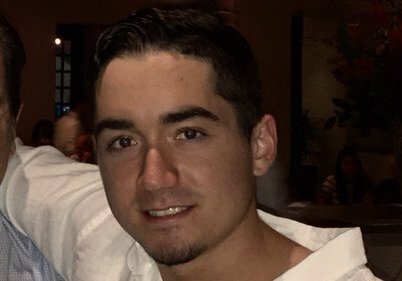 The tragic death of Bolling’s son was in the media news recently after Bill O’Reilly suggested in an on-the-record interview with the NY Times reporters that Bolling’s son was dead because of their report on Bolling’s alleged indiscretions. Bolling took exception with his former cohort’s comments, strongly rebuking them as “beyond inappropriate” for O’Reilly to invoke his son in such a manner, after which, O’Reilly quickly apologized. Bolling’s Twitter comments including a “national epidemic” (which appears to be about opioid deaths) comes on the same day that President Donald Trump addressed assembled media and guests in the White House to declare the nation’s problems with opioid addiction a crisis. Bolling and Trump are friends and the coordination of his opioid tweet could foretell some future collaboration between Bolling and the White House on working on the opioid crisis.